Tiny apartments are miserable for a lot of reasons, but the most frustrating is when you can't make the most of your space without a clutter of furniture everywhere. Consider my coffee table problem: It doesn't take up too much space, but if there's more than one person hanging out, it's too small. 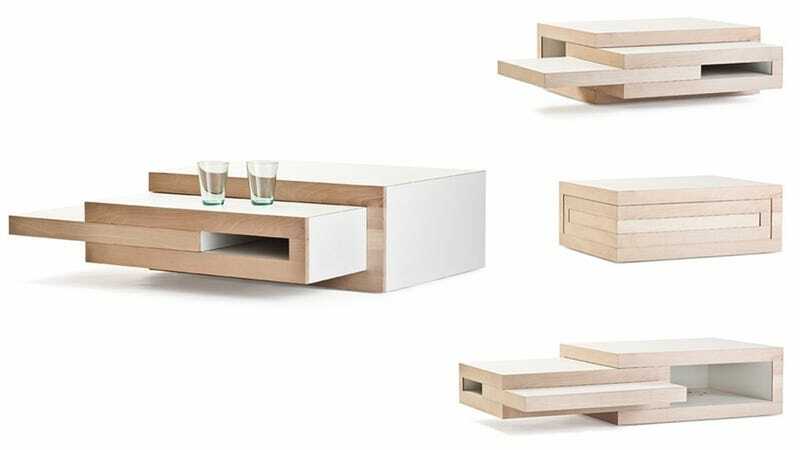 The REK coffee table by Dutch designer Reiner de Jong would change everything.